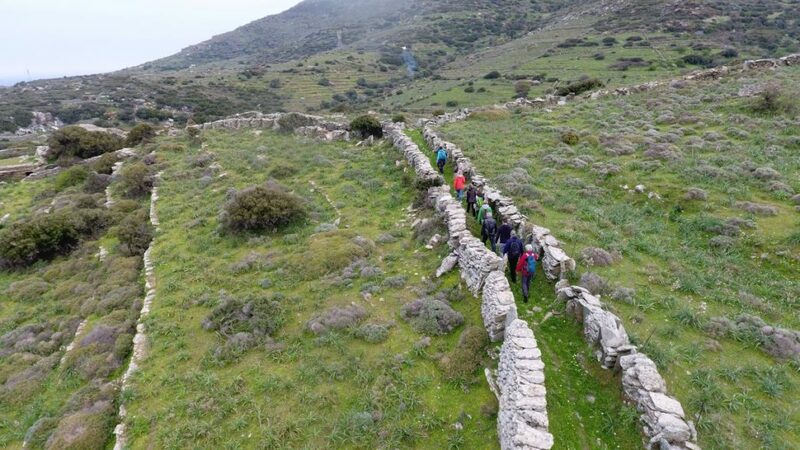 Our 20 participants came from Agios Petros, Batsi, Kaparia, Ypsilou, Chora, Livadia on Andros and from further afield we had several new friends from Athens join us. 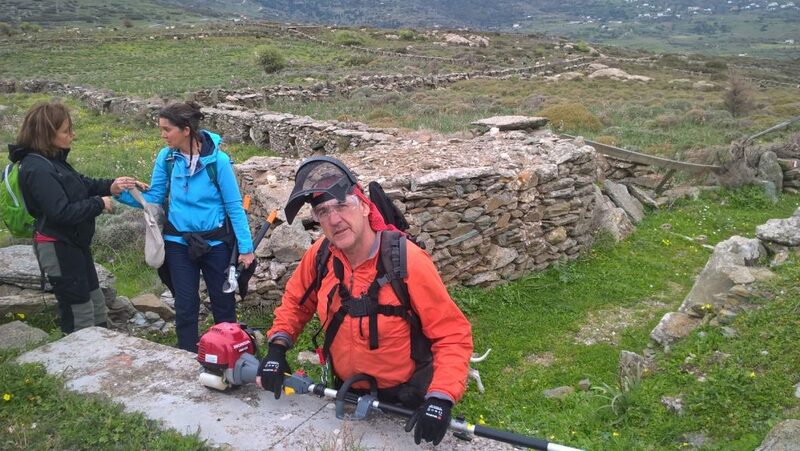 Also, it was great to welcome back and 3 of the 12 Dutch volunteers from last October’s week of trail maintenance who had returned to the island for another hiking holiday ! 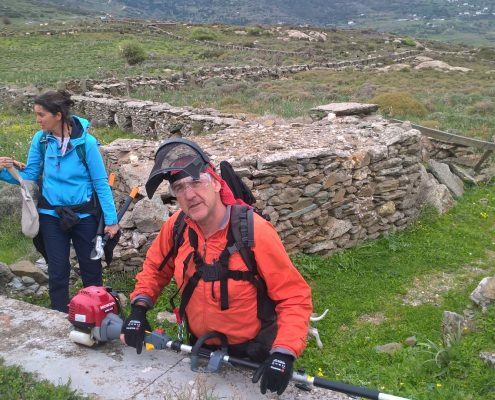 Our maintenance work included cutting back the spring growth, replacing and adding new waymarkers and clearing the path of stones fallen from walls that unfortunately are in abundance along this route. 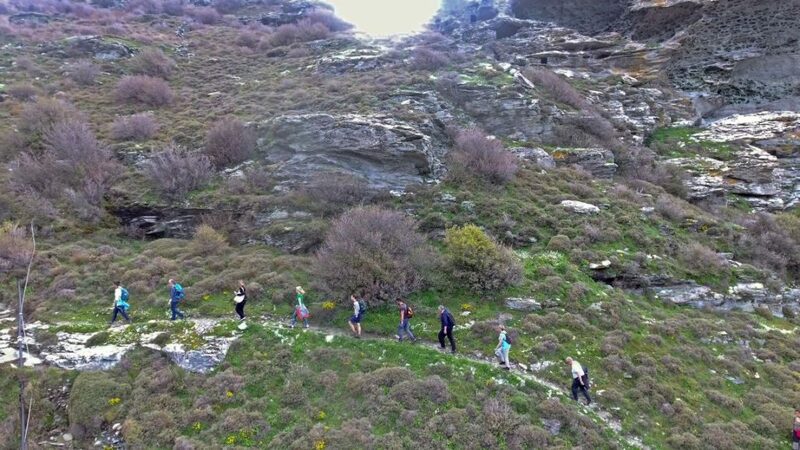 The day was ended with a delicious meal! 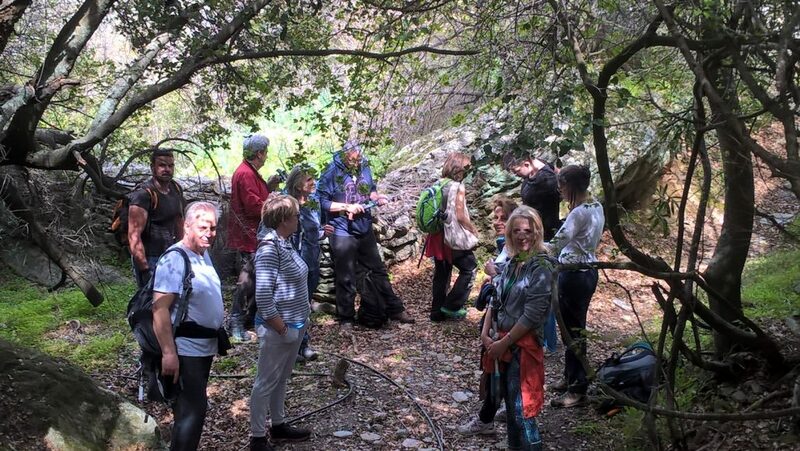 Our warm thanks to the participants, it was a wonderful day. 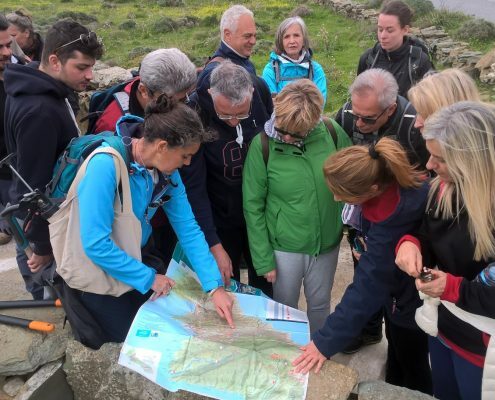 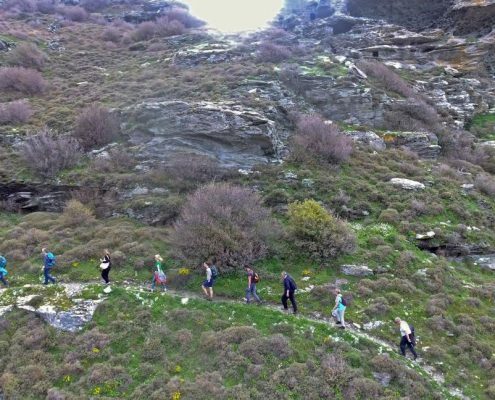 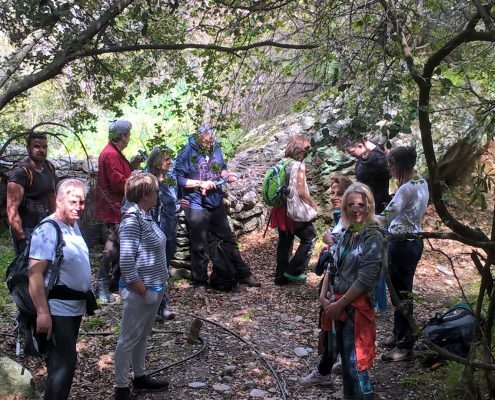 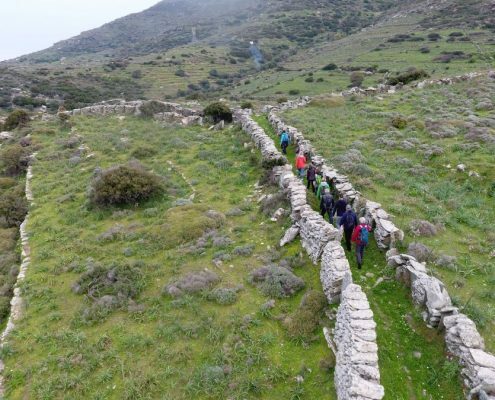 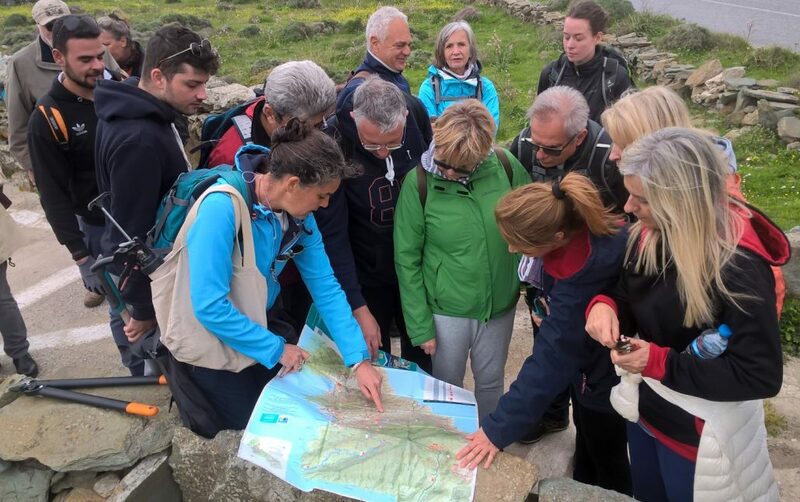 On Saturday let’s hike together…Stavropeda-Aladou-Sasa-Pahachradou... Dutch volunteers return again to the paths of Andros!